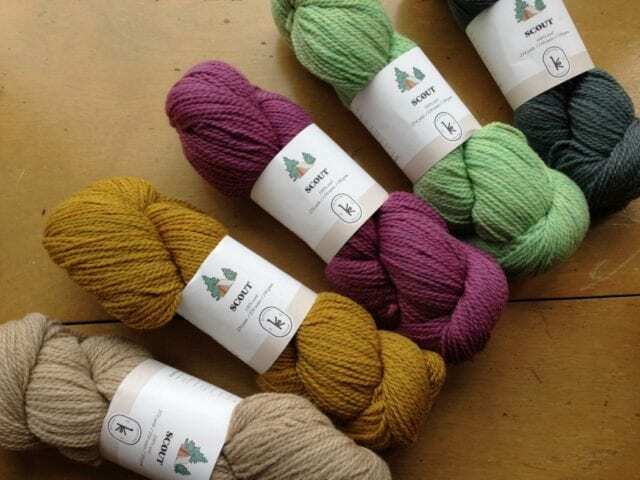 It’s been only a couple of months since Kelbourne Woolens debuted their very first yarn, Andorra, and already we’re welcoming their second! Meet Scout. 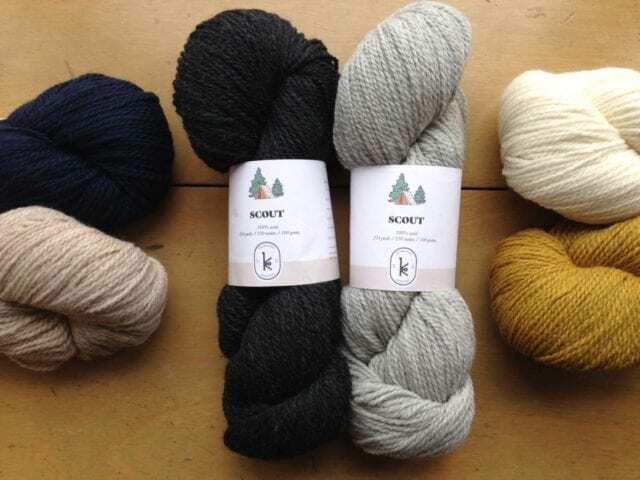 Scout is a DK weight 2ply wool in heathered colorways, with a generous 274 yards on each 100 gram skein. 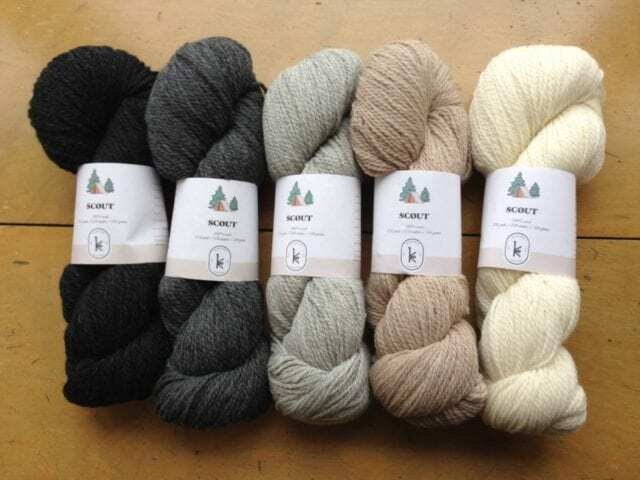 It knits up at a gauge of 20-22 stitches over 4″ using US 5-7 needles, so it may be suitable for patterns calling for light worsted weight yarn as well as DK. 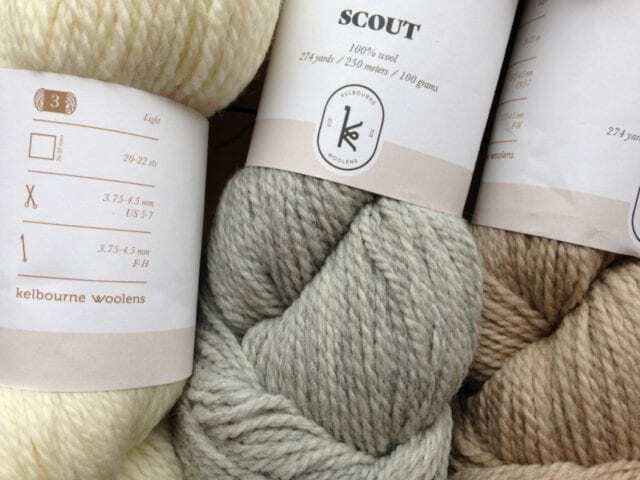 The Kelbourne Woolens design team has concocted a batch of patterns for Scout that show it off in a variety of contexts: cables, knit/purl texture patterns, lace, and colorwork, looking modern and traditional all at once – a Kelbourne Woolens trademark. 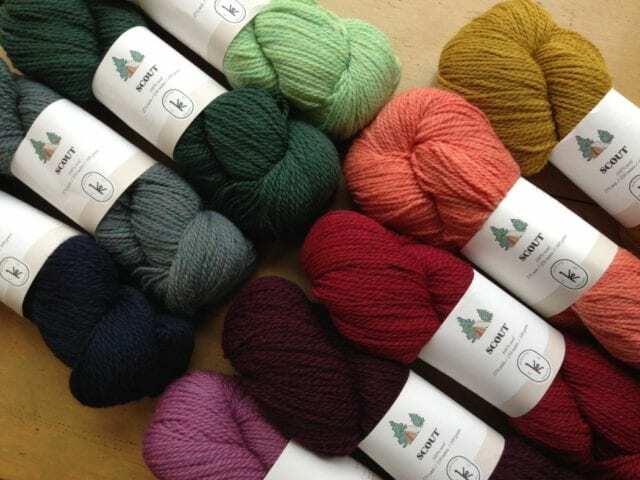 As ever, my interest is particularly piqued by the colorwork designs, Kate Gagnon Osborn’s “Ballard” hat and “Ranier” pullover. Those patterns had me looking for two-color pairs in Scout; three of my favorite combinations are pictured above. 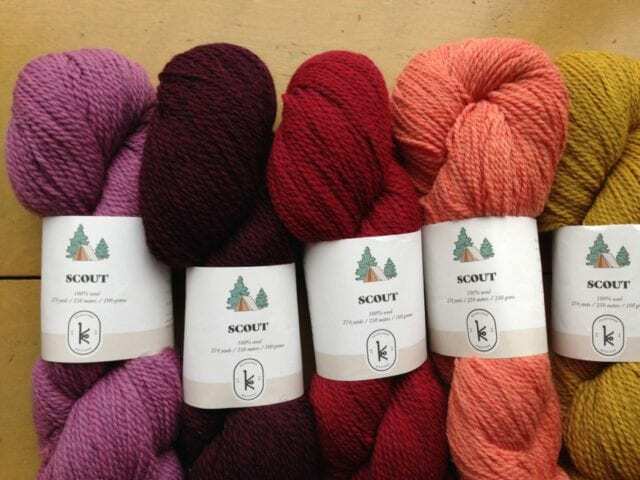 Look for Scout in the DK weight section here at the shop!